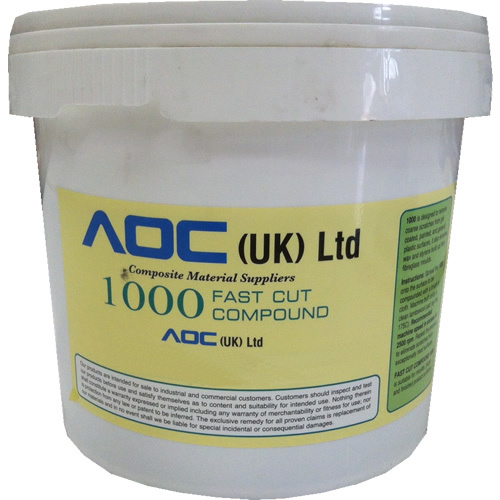 Polyester Colour Pastes may be readily mixed directly with the polyester gelcoat or layup resin using slow mechanical mixers or by hand. More powerful mixing may be needed when used in filled systems. Generally the amount of colour paste required to colour gelcoat to achieve good hiding is 10% by WEIGHT not volume. Where the amount is to be increased for whatever reason, seek approval from our technical department for suitability of end application. A smaller addition level of between 5 and 10% should be used for colouring layup resins. The addition level of Polyester Colour Paste into SMC/DMC systems should be as agreed with Llewellyn Ryland. When using black colour pastes, an addition level of 3% by weight should be used (with the exception of PCP5989 and PCP3929 which should be used at the minimum recommended level). Accelerated polyester resins coloured with PCP3602 and PCP3929 should be used within 24 hours to avoid accelerator absorption on the colour paste. For transparent colour pastes the amount required can vary from 1 - 3% depending upon the thickness of the moulding and depth of colour required. In order to achieve a uniform finish with polychromatic/metallic colour pastes, the use of spray polyester gelcoat is recommended. Polychromatic/metallic Polyester Colour Pastes should be mixed with gelcoat immediately prior to use. Only mix sufficient for single batch production. Polychromatic/metallic colour paste causes pre-gelation of gelcoat, therefore the mixed gelcoat should be used within two hours of mixing. It is most important to ensure that care is taken to avoid the use of different colour paste batches on either single moulding or on mouldings which are components of a larger structure. Every effort is made to reduce batch to batch variation. However, even when using state-of-the-art colour matching instrumentation, small variances between batches can occur.